Plan the perfect evening at home with our selection of bottles suited to intimate soirées. 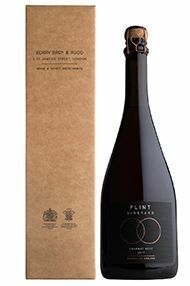 This aromatic blend (of Solaris, Bacchus, Reichensteiner and Rondo) is England’s first sparkling wine produced in the Charmat method (the process used for Prosecco). Deep pink, the wine has a fine mousse and aromas of forest fruits and cherry blossom. A proportion of the base wine is barrel-aged for four months, the time on lees adding wonderful texture and depth to the palate that bursts with juicy cassis and wild raspberry. Naturally zippy acidity makes this the perfect apéritif. The expressive nose of citrus peel and juniper thrusts from the glass on first inspection, with the oily aspect taking the lead. 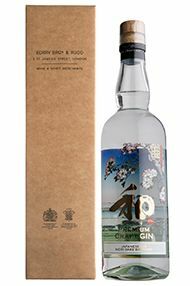 This extraordinary gin is made using distilled sake as its base (as opposed to the more common flavourless neutral spirit). On the palate, this unusually characterful base spirit ensures a superb mouth-feel and depth, while carrying the botanical characters through to a pleasingly long finish with particular notes of cinnamon. 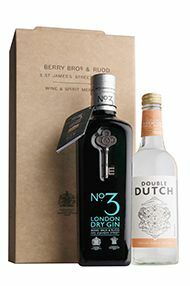 Drink this on the rocks as an appetite-invigorator, or very gently diluted with tonic for a luxuriant G&T. This cuvée was created in 1988 to honour one of the House’s founders, Elisabeth Salmon. 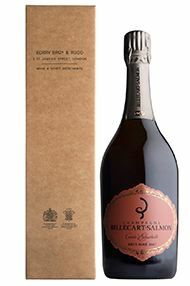 The “queen” of rosé Champagne, it is a blend of 50% Pinot Noir and 50% Chardonnay. The wine spends 10 years on its lees, producing a wine of incredibly complexity. Its richness is balanced by chalky minerality. Blackcurrants, red berries and cherry stones are interweaved with lemon pith, peach skin and tarte tatin notes. The finish is a seamless wash of saline finesse and long-lasting minerality.